At Cohesity, our work-hard-play-hard culture helps all employees contribute to company success and then celebrate our wins as a team. 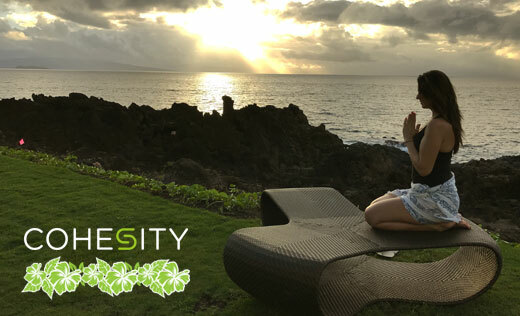 To recognize the achievement of record revenues in Q1, a major milestone set 3 years ago, Cohesity sponsored a trip in December to Maui, Hawaii for employees and their families. 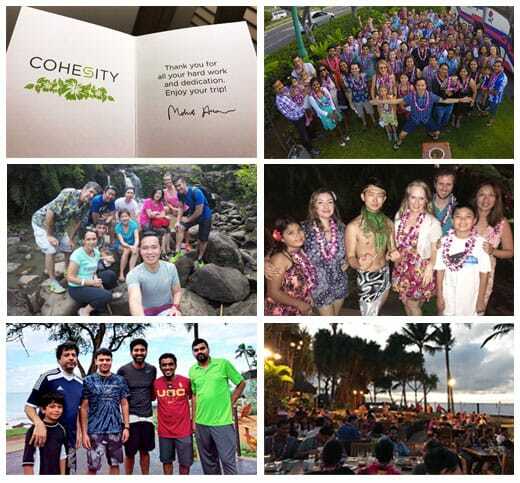 Whether relaxing on the beach, hanging with colleagues at the pool, hiking the Hana Bamboo Forest, practicing sunrise yoga, or enjoying team dinners, Cohesians can definitely mix business with pleasure! One of the biggest highlights of the trip was our group team outing to the Old Lahaina Luau, where we enjoyed a scenic dinner and learned about the history of Hawaii and the Hula through beautiful dance performances. What a memorable trip and one that Cohesians will not forget! The trip even made the news! Our sales and marketing teams will be enjoying a similar reward trip to Cancun, Mexico in February. 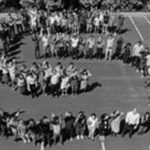 Not only can Cohesians work hard and then celebrate, an equally important part of our Cohesity culture is making time to give back to the community. 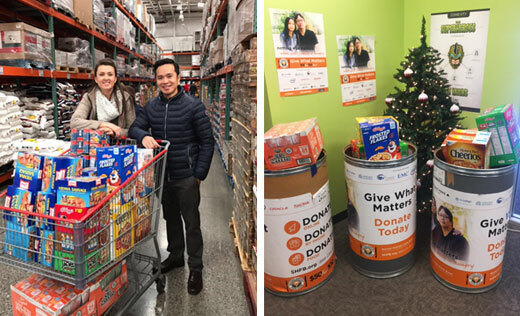 As part of our #CohesityCares program, employees participated in a company food drive for 2nd Harvest Food Bank, to ensure families-in-need had meals. Cohesity also sponsored a local Bay Area family through the “Family Giving Tree” organization, with employees donating gifts and funds, so the children and family could better enjoy the holiday season. Overall – December was a very busy month for Cohesians, but we wouldn’t have it any other way! For more photos, visit our Facebook page.